Are you tired of stepping on legos? Well, me too! I remember seeing a picture of a Lego table a few years ago, and ever since I’ve always wanted to make one. I’m probably like many other parents of young children, I have a love-hate relationship with these small colorful building blocks. Really love how they stimulate creativity, learning skills and of course hours of fun! And unlike many other plastic toys, they’re practically unbreakable (really love that!). But, let’s keep it positive! Lego’s are great, and kids love them. So what’s the solution to our problem? Of course! We can make our own Lego table! It’s a super simple, fast and easy DIY project. Instead of building the Lego masterpieces on the floor, you can now build them on the Lego table. And for storage, this table gives you lots of storage space underneath. Use different sizes plastic bins for storing lego blocks and you’ll always have them nearby for easy reach when playing. Want to make your own DIY Lego table? If the table is used, you should give it a good wash and dry it completely. Lay out the Lego plates so the roads turn the way you like them. And then you’re DONE! That’s how easy you can make your own DIY Lego table! If you want to save some money (of course, you do!) check to see if you can buy this table second hand. Even if the table top is ugly and has lots of marks on it, doesn’t really matter since you’re gonna cover it anyway. To save yourself a lot of headaches, also be sure to check while you’re attaching the plates to the table, that you’re placing them accurate and straight. You can use a classic Lego block to check. This is IMPORTANT, if the plates aren’t placed right, then the blocks won’t fit on the plate edges. It’s easier to get this right straight away, then having to do it all over again.. you’ve been warned! My son absolutely loves his Lego table. And he uses it every day, making all kinds of Lego masterpieces. And I notice every time we have kids over, they all seem to somehow get drawn to the Lego table! This was really such a fun project and I really loved how quick and easy it was, I finished the Lego table in less than 1 hour. Why don’t you try making one yourself? Guaranteed hours and hours of fun for both small and grown-up Lego lovers! 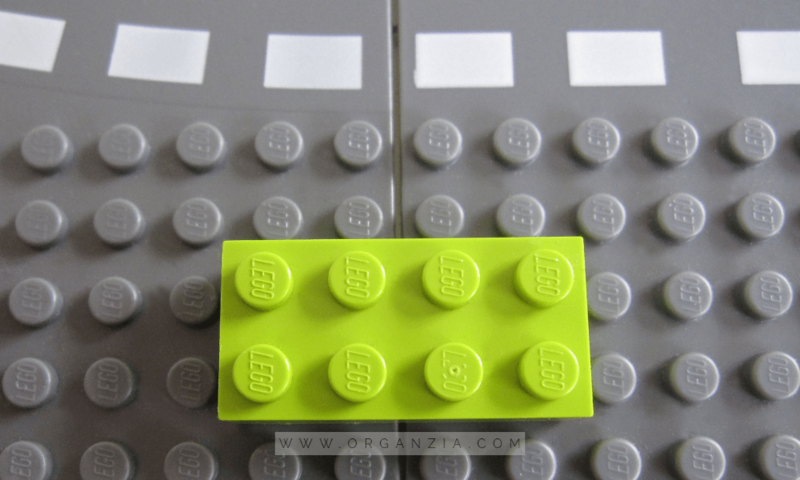 If you can’t get enough of Lego, be sure to check out this post, on how I finally organized all the Lego instruction manuals. Do you have kids that would love a Lego Bedroom? 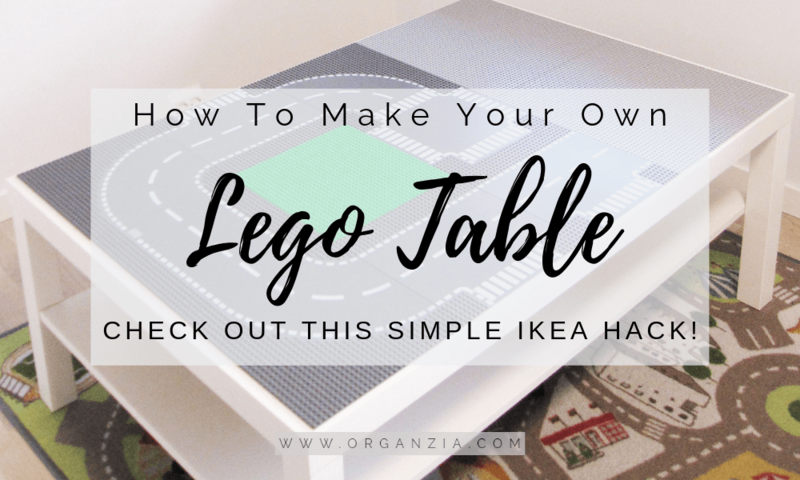 I really hope you liked this post, I sure had a great time making the Lego table! Please leave me a comment if you have any questions. And I would love to see pictures if you end up making your own Lego table. Great idea! Which Ikea Lack Table did you use? They have two. Love this!! I know my son would enjoy it too. Thank you Heather! The table used in this project is the IKEA Lack Table size 46 1/2 x 30 3/4 inches. Really like this size, because it’ s lagre enough to build the bigger Lego projects on it. 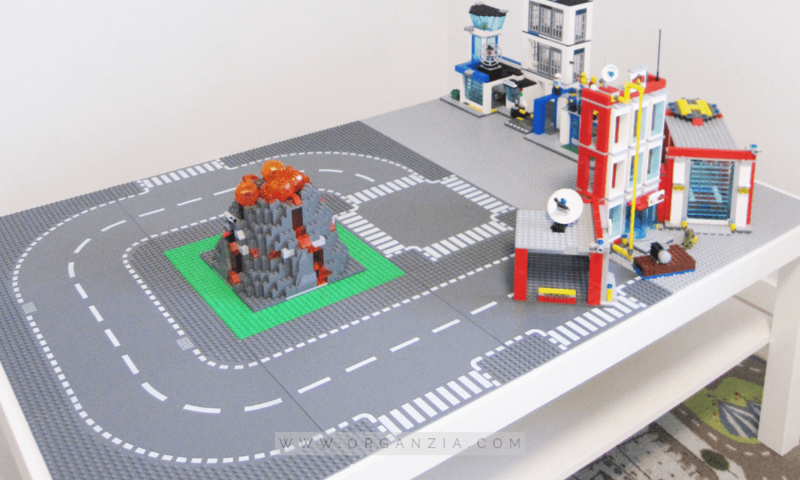 My son and his friends love to play around the Lego Table !Hope you’ll try making this as well, sure your son will love it too ? Hi! Great idea to a lego table! Did you mean 36 1/2 x 30 3/4 bc I couldn’t find the size you had posted anywhere (it was either smaller or the 36 1/2) thanks! Thank you Chris! You’re right ! The table used is this http://www.ikea.com/us/en/catalog/products/00104291/#/10065958 46 1/2 x 30 3/4 inches. Santa is making this for Christmas!!! A very special 4 yr old little boy is going to be over the moon. Savannah: What a great present from Santa ❤️ I´m sure your little boy will be so happy with his gift! Made this for my son and he loves it!!! Thank you so much! Do you have any LEGO storage recommendations ?